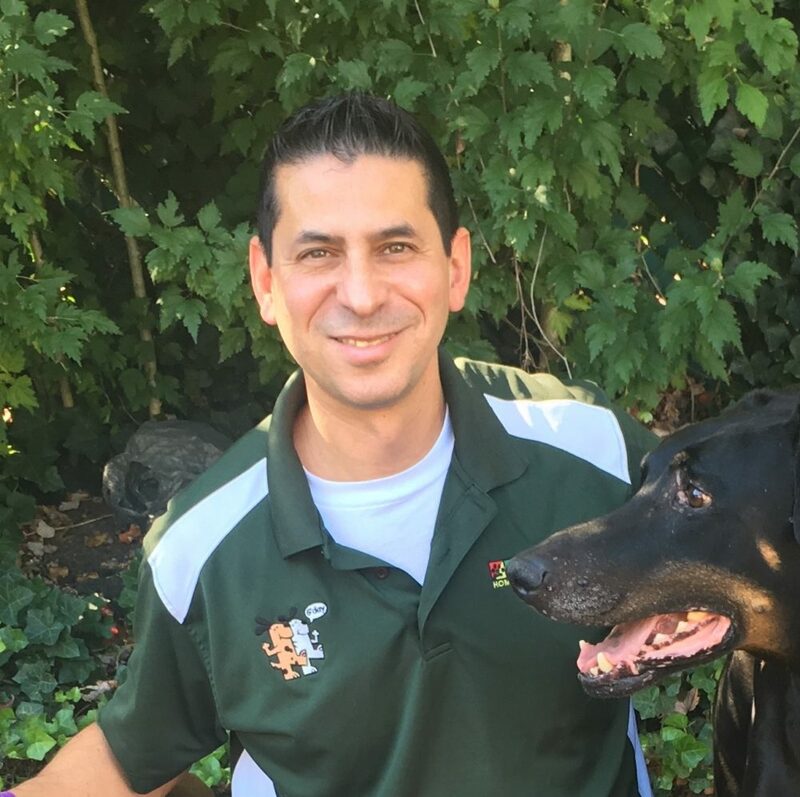 I have been a Bark Busters dog trainer covering Staten Island, Brooklyn and Lower Manhattan since 2004 and have successfully trained thousands of dogs, with virtually every issue, throughout the Brooklyn, Staten Island and lower NYC areas. I teach you and your dog in your home, where most problems occur. You will see positive changes in your dog’s behavior in the VERY FIRST SESSION! When I was a kid, I wanted either to play for the Yankees or be a Veterinarian when I grew up. Things change when you become an adult … I became an accountant! I graduated CUNY Baruch College in 1994 and worked on Wall Street for nine years. In 2004, I decided I was done with corporate America and hoped to find my calling. I researched owning my own business and was so fortunate to find Bark Busters. I quit my then current job over the phone while in Denver, Colorado on the 1st day of class to become a Bark Busters Dog Trainer! The journey has been amazing. I help people and their pups with any behavioral problem. It could be barking, jumping on guests, pulling when walking, aggression or separation anxiety. In some extreme cases, I am saving a dog’s life and am their last hope of staying with their family. After I help, I receive thank you’s, handshakes and even hugs and kisses of gratitude from owners and their pups. I also married a client! She hired me because her 140 lb. Great Dane, Murray, was pinning her dates to the wall! Murray passed away at only five years old but if not for him, I never would have met my wife. We have four dogs now. Harry the Doberman, Winston & Rosie the Boston Terriers and Pawlie the Great Dane. Life is always interesting with this crew. So if you need any help with your dog, I want to show you how to make your dog into a happy puppy again!